All Keetley homes currently listed for sale in Keetley as of 04/18/2019 are shown below. You can change the search criteria at any time by pressing the 'Change Search' button below. If you have any questions or you would like more information about any Keetley homes for sale or other Keetley real estate, please contact us and one of our knowledgeable Keetley REALTORS® would be pleased to assist you. 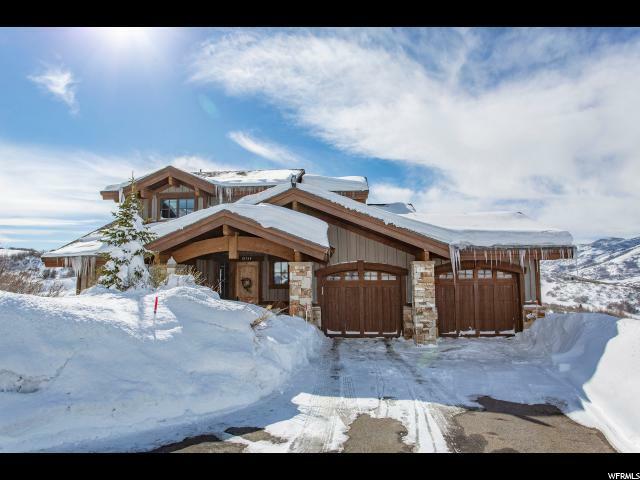 "This rustic yet elegant home in Hideout Canyon is the ideal place to commune with nature, or simply relax as you look at the expansive views of the Jordanelle Reservoir, Mount Timpanogos, the Outlaw Golf Course, and enjoy four-season amenities right outside your door. This custom-built home offers a simple approach to luxury living, with a spacious floor plan, centered around large family gatherings and mountain living, gourmet kitchen with Wolf and Sub-Zero appliances, radiant heat, walnut flooring, automatic blinds & built-in audio system throughout the home. This unique home is beckoning you to find inspiration and enjoy being surrounded by nature's beauty. Come this Winter to experience the greatest snow on Earth in our 6,900-foot elevation mountain town."